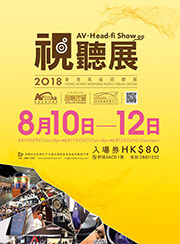 2018.07.17 Hong Kong High-End Audio Visual Show 2018, August 10-12! Our official distributor of Hong Kong, Soundwave will display and perform demonstrations our products in Hong Kong High-End Audio Visual Show 2018. Please go to Soundwave booth and feel our products! Venue: Hong Kong Convention and Exhibition Centre. 2018.05.07 HIGH END® MUNICH 2018, May 10-13! ORB products will be exhibited at the AEC Connectors booth. Please go to AEC Connectors booth and feel our products! 2017.07.24 Hong Kong High-End Audio Visual Show 2017, August 11-13! Our official distributor of Hong Kong, Soundwave will display and perform demonstrations our products in Hong Kong High-End Audio Visual Show 2017. 2017.06.27 TAV Show 2017, Jun29 - Jul2! ORB will exhibit at TAV Show 2017(THAILAND AUDIO/VIDEO SHOW 2017). Please come and see our latest products! Click here for the this show details. 2017.05.15 HIGH END® MUNICH 2017, May 18-21! Our official distributor of Germany, Axiss Europe will display ORB products in HIGH END 2017 Munic. Please go to Axiss Europe booth and feel our products! 2016.08.01 Hong Kong High-End Audio Visual Show 2016, August 5-7! Our official distributor of Hong Kong, Soundwave will display and perform demonstrations our products in Hong Kong High-End Audio Visual Show 2016. Venue: Hong Kong Convention & Exhibition Centre. 2016.05.02 HIGH END® MUNICH 2016, May 5-8! Our official distributor of Germany, Axiss Europe will display ORB products in HIGH END 2016 Munic. IWe are pleased to announce that effective April 1, 2016, JAI Co., Ltd changes company name to ORB Co., Ltd.
2013.01.07 ORB Exhibiting at the 2012 International CES in Las Vegas, January 8-11! January 7, 2013. ORB will be exibiting the company's latest products at the 2012 International CES in Las Vegas January 8-11, 2013. All media and fans of high end audio are invited to join us at our booth in the Venetian Exhibitor Suites - Suite 30-312. Click here for the location details. 2011.12.21 ORB Exhibiting at the 2012 International CES in Las Vegas, January 10-13! December 21, 2011. ORB will be exibiting the company's latest products at the 2012 International CES in Las Vegas January 10-13, 2012. All media and fans of high end audio are invited to join us at our booth in the Venetian Exhibitor Suites - Suite 29-122. Click here for the location details. 2011.03.31 ORB will join 'Highend 2011' in Germany ! March 28, 2011. ORB will be presenting the latest D/A converter and headphone amp JADE at the Highend 2011 in Munich Germany. We will also demonstrate our latest USB equipped D/A converter. Highend 2011 will take place between the 19th-22nd May in Munich, Germany. Please feel free to come and visit us at Higoto GmbH Digital-Highend, HALL4 Booth HO3. 2010.12.01 ORB will exihibit at CES2011 in Las Vegas ! ORB will exhibit at CES2011 in Las Vegas together with Triode Corp and Acoustick Zen ( 6th-9th Jan). Our booth is in the Venetian Tower 30-219 (30th floor of the Venetian hotel). Please come and see our latest products! 2010.03.10 We added New product to our collection! We added Power filter 'TP-4i' , 'TP-4i Gold' and Static Neutralizer'SAKURA'. to our product line up. Please check our latest products. 2010.02.18 "CES2010" Thank you for a lot of audio funs who came to our booth! Please see the photo images of our booth in CES2010. We shared an exhibition room with Triode and Acoustick Zen. Thank you to all the audio fans who came to our booth! 2009.12.14 ORB will attend CES2010 in Las Vegas! ORB will attend CES2010 in Las Vegas together with Triode Corp. (7th-10th Jan) Our booth is in the Venetian Tower 30-221 (30th floor of Venetian hotel). Please come and see our latest products!